Assessment resources, intervention pdfs, and evidence based lessons that equip you to understand, assess, educate, and help your adult and older adult patients with sleep issues. Do you have patients who struggle with sleep issues? Sleep is the universal Occupation, and with sleep issues on the rise, Occupational Therapists have an important role in helping address patient sleep issues. Also, the reality of today's workplace is that there simply isn't enough time to do all the research and build tools to confidently deal with this complex area. Well, sleep hygiene can be one part of the picture... but evidence shows sleep hygiene alone doesn't work. The good news is that as an Occupational Therapist, sleep is an area that matches well to your skill set. That's why we made The OT Sleep Assessment and Intervention Course, and the Sleep Intervention Package. We'll start by getting you acquainted with the course contents, and giving you the full sleep intervention package containing downloadable PDFs to immediately advance your toolset for practice. Practical takeaway: Entire CBTi based Sleep Intervention Package download. In Module 2, you'll learn about the scope of the problem and key factors that contribute to this. You'll then learn the basics of sleep science and review sleep issues with a focus on insomnia. Practical takeaways: A foundation in basic sleep science and insomnia. In Module 3, you'll learn what a standard medical and OT based sleep assessment look contain. We'll review co-factors, sleep assessment tools, and more. As a bonus we'll also review sleep related technology. Practical takeaways: How to perform an OT based sleep assessment; when to refer for further specialist help; how to understand new sleep technology. You've now made it module 4; the heart of the course. We'll start by getting acquainted with how CBTi fits with OT and review when OT sleep intervention is appropriate. We'll then walk you through the 'how to' for each CBTi based sleep strategy. Practical takeaways: When and how to use OT based CBTi interventions. 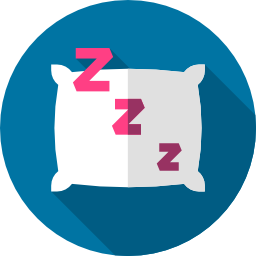 In this bonus extended module we'll extend your practice by teaching you about general health interventions for sleep, experimental methods, alternative sleep schedules, and medications. Practical takeaways: Sleep interventions and unorthodox strategies beyond CBTi. In this extra bonus section, you'll gain an organized linked list of our favourite helpful readings; apps; videos; CBTi guides; websites; and direct access to download the Elevate OT sleep intervention package and free download assessments folder. Practical takeaways: More sleep resources to move you ahead of other professionals. Are notes included in the course? Will I be able to use what I learned? Absolutely! We designed this course to be actionable, and to make sure you can put what you've learned into action, the full Sleep Intervention Package is included; a set of evidence based worksheets for you to use right away with your patients. What if I run out of time for the course? No problem! This course is completely self-paced; it's built so you can work through it one module at a time, and can take as much time to review as needed. What if the course isin't for me? Our goal is to help you transform from an OT with little to no sleep specific training and minimal resources, to an OT with a confident base and concrete tools to assess and treat insomnia for adults and older adults. We guarantee that you'll gain clear intervention and assessment tools, learn key fundaments of sleep science, and increase your ability and confidence to provide evidence based sleep intervention for adults and older adults with insomnia…if your skillset is not transformed with the product provided, we insist that you tell us and we’ll refund you your money back and you keep all the materials, handouts, worksheets and course. Learn The Basics of Sleep Assessment and Intervention in just 2.5 hours or go at your own pace. To confidently and effectively help your adult and older adult patients with sleep issues join us for this practical, evidence based course.